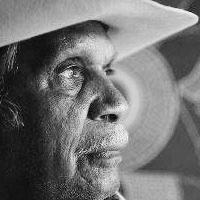 Norman Cox was born in 1937 on Louisa Downs Station in the southern Kimberley region of Western Australia. He spent most of his adult life working on cattle stations as a stockman. Today Norman runs a 200,000ha station 50km east of Fitzroy Crossing. He paints in the spare time he can find whilst fulfilling his duties as Chairman of the Yiyili Aboriginal Community.